This album contains a powerful Surf /Instrumental Sound–The album -originally released in the United States back in 1999- has now been re-released by Part Records. 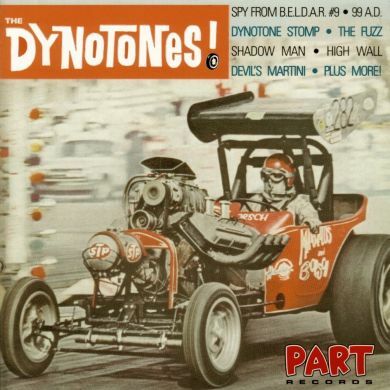 The DYNOTONES, hailing from Orange County California, are a four-piece surf/hot rod instrumental combo consisting of Dano Nichols (guitar), Dan Moses (guitar), Rob Kruse (bass Guitar), and Jim DeBeau (drums). Influences include The Astronauts, Link Wray, The Bobby Fuller Four, The Pyramids, The Ventures and The Trashmen.